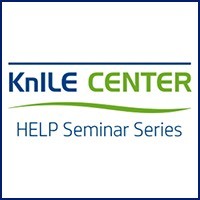 Free symposium for parents of teens and professionals working with teens! 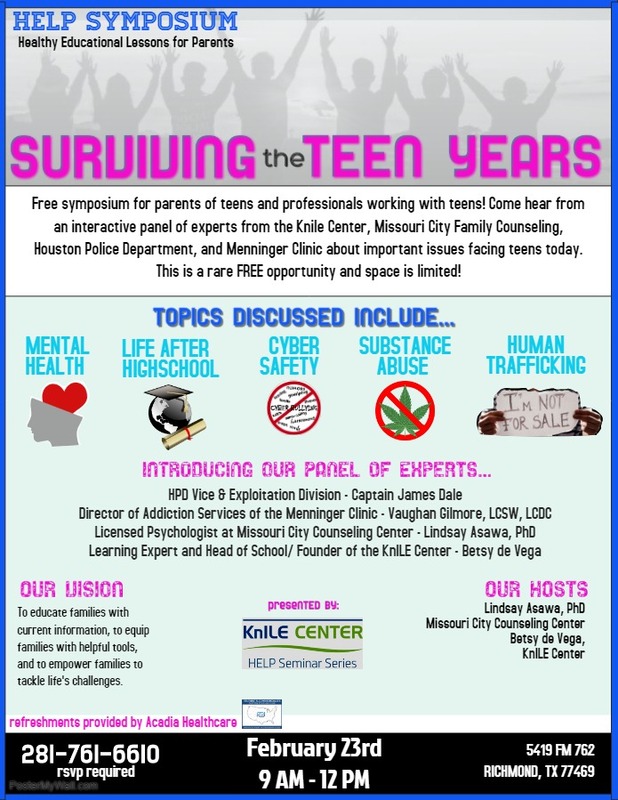 Come hear from an interactive panel of experts from the Knile Center, Missouri City Family Counseling, Houston Police Department, and Menninger Clinic about important issues facing teens today. This is a rare FREE opportunity and space is limited! The pressure in our teens is at an all time high. Delve into this taboo problem and how we can help our teens. Maneuvering through graduation and beyond. We will go over how to prepare your teen for adulthood. Distinguishing between reality and the internet (including social media). What is the buzz all about? Removing the myth and sharing the reality behind this very popular past time. Discussing the issue of modern day human trafficking. INTRODUCING OUR PANEL OF EXPERTS…. To educate families with current information, to equip families with helpful tools, and to empower families to tackle life’s challenges.